The number of severely malnourished children seeking urgent, life-saving treatment is on the rise at a nutritional centre in Somalia supported by the International Committee of the Red Cross (ICRC). Drought is tightening its grip on the Horn of Africa nation, leading to fears of famine. Children under five are the first to suffer. 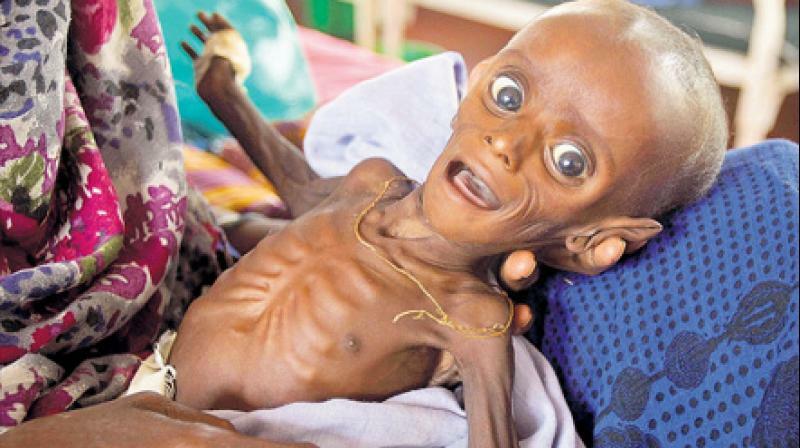 “This rise in child malnutrition is a serious warning sign for Somalia, one that demands both attention and immediate response,” said Jordi Raich, the head of ICRC’s Somalia delegation. Mothers with visibly malnourished children are streaming to the stabilization centre at Kismayo General Hospital, one of the few places in south and central Somalia to treat malnutrition. In February 369 new patients were admitted, 40 percent more than February 2016. In December, 414 new patients were admitted, a monthly record for the centre, which opened in 2013. As part of its response to the drought and hunger emergency, the ICRC expects to reach 1.4 million people in Somalia this year with food assistance, access to water and cash grants. The ICRC supports nutritional feeding centres in Kismayo and Baidoa.